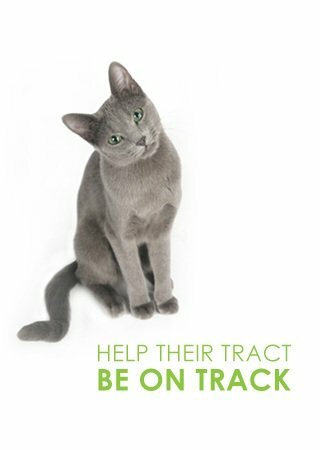 UT Support contains N Acetyl Glucosamine, D Mannose, Bromelain and Cranberry Extract to support healthy urinary tract function. N Acetyl Glucosamine supports the function and structure of the glycoprotein layer in the mucosal lining of the urinary tract. D Mannose helps maintain a healthy urinary tract. Cranberry Extract helps cleanse the urinary tract. Bromelain also helps support the lining and comfort in the urinary tract. 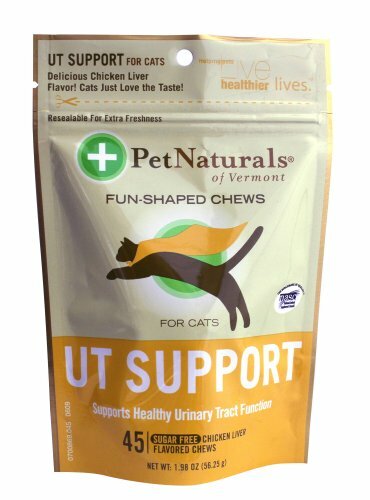 UT SUPPORT is a delicious chew for cats designed to support a healthy urinary tract. N-Acetyl glucosamine is an amino sugar that is an essential building block for glycoproteins and glycosaminoglycans, which form the mucosal lining of the urinary tract and of tissue matrices. N-Acetyl glucosamine supports the function and structure of this glycoprotein layer. D-Mannose helps maintain a healthy urinary tract. In the urinary tract, sugar-seeking bacteria selectively attach to D-Mannose. They are then expelled in the urine. Although it is a naturally occurring sugar, D-Mannose is not converted to glycogen or stored in the liver. Therefore, even diabetic cats can use this product. One of the most popular ingredients for urinary tract support is simple cranberry extract, because it contains proanthocyanidins. That’s just a big word for potent antioxidants. These particular proanthocyanidins support cleansing and urinary tract health. Cranberry is also a natural deodorizer; it decreases the strong smell of ammonia in urine. Finally, bromelain is a proteolytic enzyme that helps support the lining and comfort of the urinary tract. Cats love the taste of UT SUPPORT. 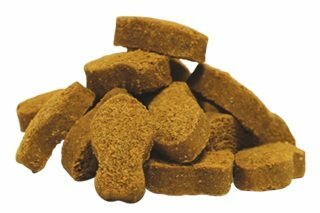 It’s available in a moist, chicken liver flavored chew to maximize palatability and compliance. UT SUPPORT is safe for long term use. Helps maintain normal pH which may reduce the likelihood of crystal formation. Great preventive maintenance I have three cats, and the two males have both had UTI scares. These can be life threatening in male cats. 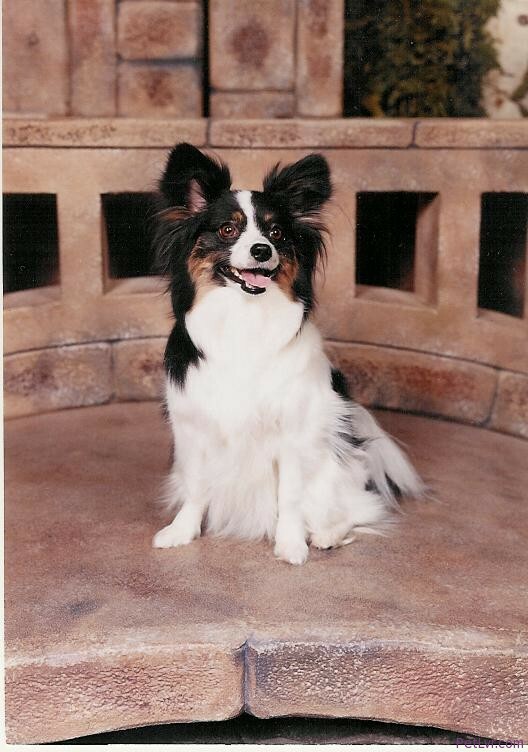 The most recent scare cost me $750 after three vet visits. Alejandro started showing very early warning signs of UTI recently, including going outside of the box and licking his wiener excessively (sorry, it is what is!). He normally doesn’t do that, but he did it during the last UTI, so I took that as a sign of irritation.Anyway, I bought another product from another manufacturer on Amazon that contained numerous herbs I had read about from holistic veterinary sites, as well as this cranberry chew treat. I started giving him human grade vitamin C and echinacea (in kitty sized doses) while waiting for the new products to arrive. Between my supplements, the other product, and this one, his symptoms have vanished within a couple days.This particular product is more for routine prevention rather than a singular treatment, or it can certainly be taken in addition to any treatment as a booster. But I would not use this product ALONE to treat a UTI. ** I should emphasize that for full blown UTIs, it is best to visit the vet for treatment! Untreated UTIs can cause renal kidney failure. Male cats get crystals which can cause blockages. Your cat can be dead in TWO DAYS if this happens! **In the situation I described above, I caught the symptoms in the very early stages! If symptoms progressed or continued, I would have brought him in to the vet!Should also mention that Alejandro loves the taste, and so does my tiny little female Mathilde. She has never had a UTI, but cranberry can’t hurt her, so I let her have one too. I will keep using this as a preventative measure to keep his tract healthy. * Just reviewed the other product I mentioned here. I copy/pasted the parts about his symptoms and UTI warnings, but individual remarks about the products are different *Figured I should emphasize that I believe it is the OTHER product that cured my cat’s early UTI symptoms, due to it’s containing many other medicinal herbs other than cranberry. I give this one 5 stars because ANY additional cranberry only helps, and the cat loves the flavor. So I might as well give him a treat he likes that has an added health bonus. This is not a cure, it is for boosting other treatment and for prevention. White Falcon Arts "White Falcon Arts"
Great For Our Cat that Has UTI Crystals My cat Willow is a big boy and his system naturally creates urinary tract crystals. After he became blocked last year, I researched ways to keep his tract crystal free. But I wanted something natural to break them down. Willow is also allergy prone, so it could not contain corn and other additives so often seen in supermarket brands.Willow happily takes these twice a day, in fact he reminds us to give it to him. and with other preventative measures, we have not had another blockage since. Very happy with this product.